When I wrote my book, Diana The Secrets of Her Style one of the things I speculated about was how Diana might have handled getting older. Undoubtedly, she would have remained the embodiment of glamour for a generation of women as she (and they) reached the milestone of a fiftieth birthday. No doubt, she would have looked fabulous helped along by rigorous sessions with a personal trainer and some Botox. Her style would have continued to evolve into one that mixed high-low better than Michelle Obama could ever dream of doing. She would have graced the cover of American Vogue at least twice and Tina Brown would have tried her best to land her for the first cover of Newsweek. I have no doubt Diana would have shown us how to age gracefully and with style. Just as the newly minted Duchess of Cambridge is destined to become an icon to this generation of twenty something women, Diana was a cultural touchstone and yes, heroine, to the women who are now on the brink -- or just this side of fifty. I know this to be true because I am one of them. 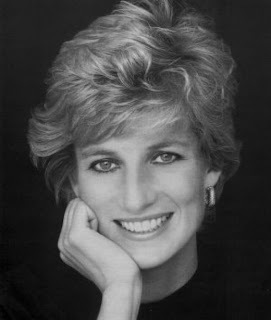 I felt a kinship to Diana from the moment I first saw her on the pages of People magazine. When she married her prince, we were the same age and even shared the same nickname. When I began emulating her early look of pearl chokers, ruffled collared blouses, red shoes and cut my hair just like hers, my mother and her friends took to calling me 'Lady Di.' Then, when researching my book, I was stunned to learn that we shared another title. Her family called her 'The Duchess' in private as did mine. While on the surface her life bore absolutely no resemblance to mine, over time I came to relate to her on far deeper level than one based on her flawless sense of style. Many of us saw our own reflection in Diana. When she exchanged ballgowns and tiaras for sleek suits and straighter hair, we recognized ourselves -- the idealized version of ourselves -- in Diana. We wanted to be like her and, it seemed she wanted to be like us. She was an old friend who survived her husband's infidelity and a painful divorce, the death of a beloved parent, the ups and downs of a fractured familial relationships and had struggles with self-esteem. She used (and abused) food to self-medicate, shopped out of boredom and cut her hair when her relationship soured. What women hasn't done at least one of those things? Diana made us believe in transformation and reinvention. Diana showed us that not every sadness or disappointment has to leave a visible, indelible mark. Ironically, she also taught us that the scars we can not see were inevitably the deepest. So what would Diana be doing today? I believe, having had her fill of showy, revenge relationships, she would have settled down (but perhaps not remarried) with a powerful, older man who would have undoubtedly not fit the mold set by her in-laws. If her passionate love affair with Pakistani heart surgeon Hasnat Khan was any indication (and I think it was) for the long haul, she would have settled down with a deeply serious man with a spiritual side. Having never lost her desire to shock 'the establishment' he could have been a Muslim (But she would have left Dodi after their ill-fated summer romance by Christmas of that year). But before she found her rock at last, she would have likely had a few high profile romances with some stateside moguls (Teddy Forstmann?) and undoubtedly lived at least some of the time in New York. Sorry Kevin Costner, but I don't for a minute believe she would have played herself in The Bodyguard 2. Just as she was doing in the final year of her life, Diana would have continued to champion the causes closest to her and become even more involved in international politics. Surely she would have gotten on with David Cameron but likely have cut ties with Tony Blair having seen him fail in his peacemaking initiatives. She would have adored the Obamas. I'm fairly sure she would be running her own foundation (a la Bill Clinton) and jetting around the world to lend her star power and financial resources (funded by all those well-heeled gentleman and their friends that inhabited her orbit) to causes like cancer and AIDS research. Its not too far fetched to imagine Diana would have been one of the first to enlist in helping out with the telethons that raised money for the victims of 9/11 and the tsunami, Hurricane Katrina and Haiti. I don't think she'd follow her former BFF Sarah Ferguson into the realm of reality television (she would have found Sarah's downfall terribly sad but not that unexpected) although she would undoubtedly have embraced social media and had her own website and Twitter feed (with just as many followers -- more, I'd like to think -- than Lady Gaga). She may have given one big interview in conjunction with the announcement of an important humanitarian initiative. Oprah would have likely scored the get of the century leaving Barbara Walters bitterly disappointed. Or, perhaps, she might have met Ann Curry while the new Today show co-host was covering one of the many disasters over the past decade and chosen to talk to her. They would have gotten on famously. Her relationship with the royals would have largely recovered and, thanks to their bond over their sons, Diana and Charles would have built a strong friendship over the years. There would have been plenty of behind the scenes drama between Diana and Camilla once she became Charles' wife, but Diana would have made it work if she had finally found happiness in her personal life. Diana would have remained William and Harry's closest confidant and would have been thrilled to see how they turned out. If Diana had lived, I'm guessing Harry would not have had nearly as many missteps with the press. The big question -- How would Diana like Kate? -- is an interesting one because I believe if Diana hadn't died there might not have been a romance between William and Kate. The lessons the royals learned from her death, taught them they needed to allow William to break outside the confines of his royal lineage and marry a 'commoner' for love. Without the gaping wound of Diana's death that has defined much of his life since then, William would not have needed the solace he found in Kate and would possibly still be a bachelor. When he did settle down, he may have been encouraged to find a more 'suitable' wife who, if not a royal, was at least a woman with an aristocratic pedigree. But if Diana were to become Kate's mother in law, surely she would have seen both the irony and the poignancy in watching a version of her younger self captivate the family and the public. She would have undoubtedly taken to the Middletons as William has and seen to it that she made a fast friend in both Michael and Carole. Most significantly, Kate would not be wearing Diana's engagement ring, she would not have walked up the aisle to the hymn that was played at Diana's funeral. Both women would have been allowed to be themselves rather than ghost and spiritual protege. Diana and Kate would have laughed together at Ascot, been photographed in the royal box at Wimbledon and shopped at high street boutiques in matching skinny jeans and boots. Just think of the pictures. They would have been gorgeous.